A private guide for the two of us. Wine tasting in the shade of lush grapevines. Home cooked, spanish lunch on the patio. 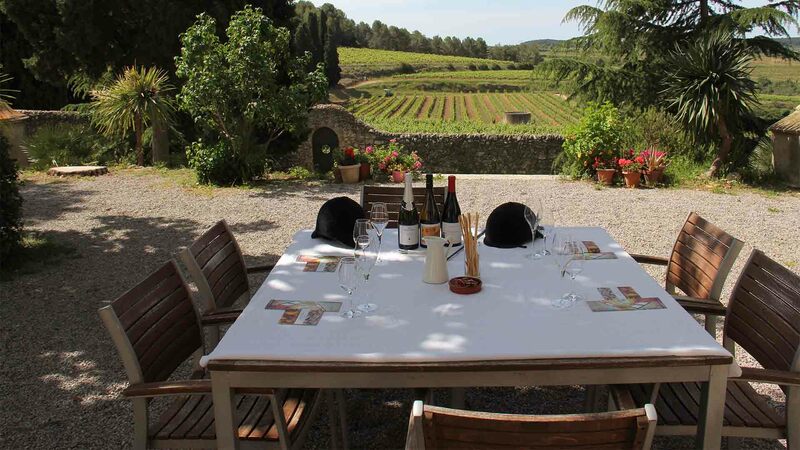 Our trip with Barcelona By Road to the vineyards of Albet i Noya turned out to be a different and beautiful experience. It’s a warm day in Sant Paul d’Ordal, Catalonia. Since 1903 the winery Albet i Noya has been at this estate, and since the last years they have offered small and exlusive groups of two to fifteen persons the option of attending private and unique guided tours. 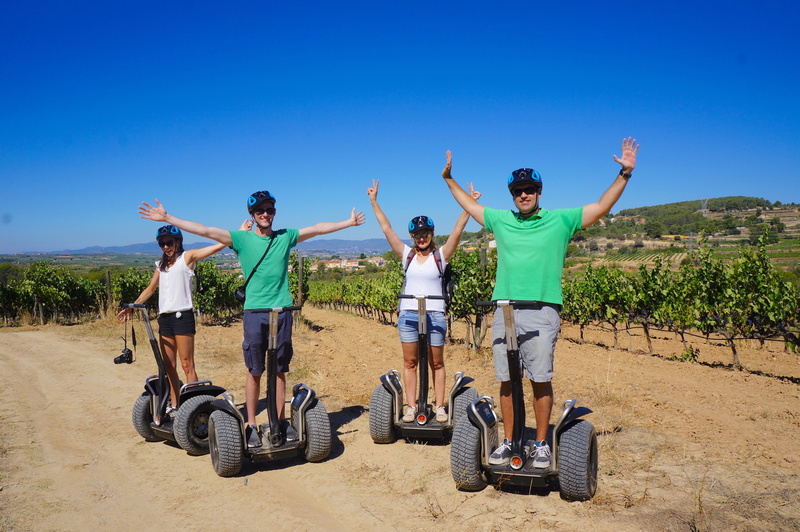 Perched on each our Segway, we are quietly transported through acres of gorgeous grapevines, as the Spanish sun shines from a clear blue sky above our heads. A cool, comfortable breeze gently ruffles my hair and dries the perspiration from the nape of my neck. Barely an hour has passed since my travel partner and I left the heaving city centre of Barcelona. The incessant traffic noise is replaced by the lively twitter of birds and an intense chirp of insects. 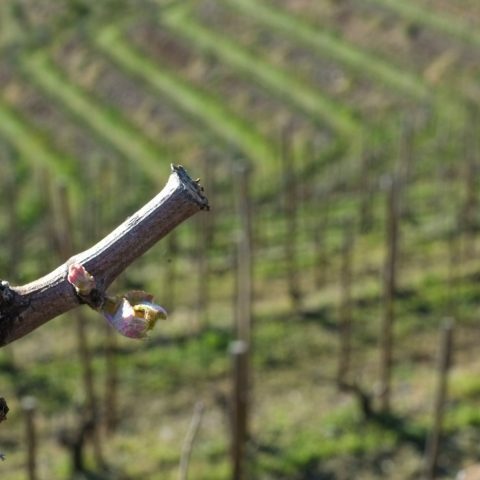 We halt, and take a closer look at some of the twenty varieties of grape that are grown here. Chardonnay, Piñot Noir, Macabeu, Cabernet Sauvignon, Syrah, and the great, local pride: Xarel·lo. 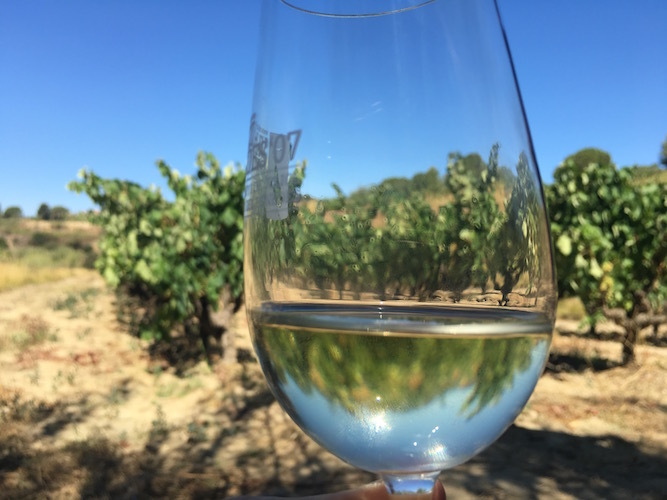 We are then seated in the shade of a little bamboo grove while the first tasting of the day is poured into glasses: a fresh and fruity white called Marina Rión, made on a grape of the same name, which is only grown at this farm, and nowhere else. All auspices indicate that this… this will be an uncommonly good day. Our tour started at 09:00 outside our hotel. A suited chauffeur and CEO Marc Farré-Escofet of the tour operator Barcelona By Road, was waiting outside with a Mercedes E-class. 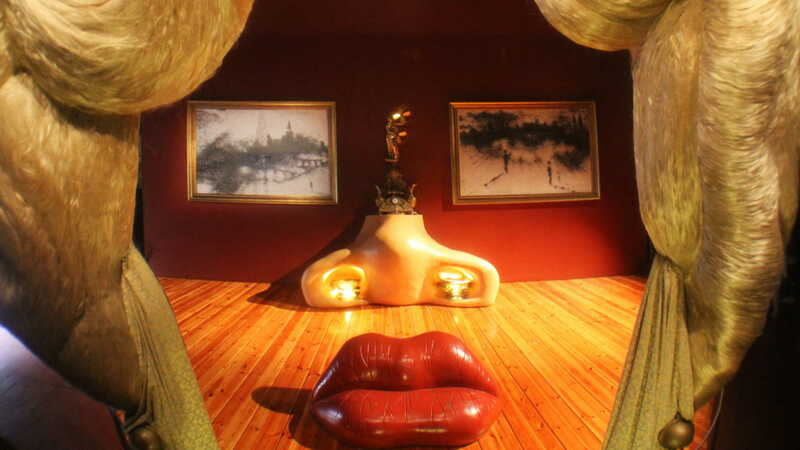 I had found the web pages of Barcelona By Road as I was searching for providers of unique and more intimate experiences in the region. 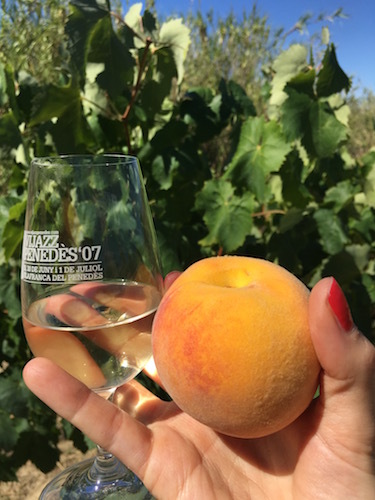 Being bussed on a tour along with 35 other tourists can certainly be an all right day out on occasion, but none of the standard vineyard tours proffered on the internet were particularly tempting to me. The descriptions and conclusions were also rather variable. However, the description of the private tours offered by Barcelona By Road caught my eye and piqued my interest at once. Less stress, more ease and comfort, more leisure and time for questions… (Sounded promising!) In any given holiday, I’ll often invest in one particular, more personal and bespoke experience. So far I have never found it not to be worth the cost. – Our aim is to exhibit the hidden gems in and around Barcelona, where you won’t find mass tourism, explains manager Marc Farré-Escofet, whose extensive travel experience enables him to ascertain what is of importance when one desires to get the most out of limited time available. When you book an experience with Barcelona By Road, they take care of all the practicalities, so that all is left for you to do is to simply enjoy the experience. And this is what we came to learn. All the guides here have their background from Barcelona, and have an approved, relevant education. – We wish to invoke the feeling that you are amongst friends, Marc adds. He grew up in Barcelona himself, and consequently possesses a wide network of contacts with whom he collaborates. 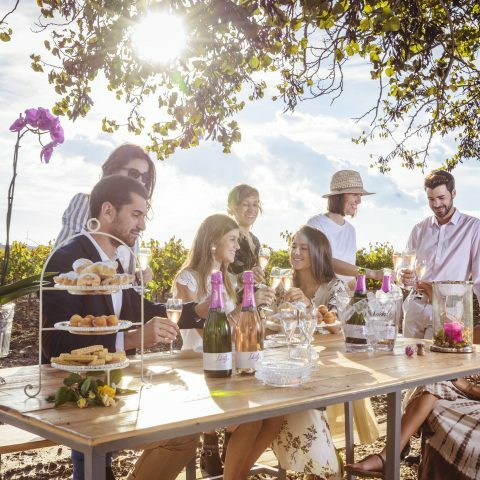 – Horseback riding and wine tasting, gourmet dinner with wine tasting, vineyard visits and spins in a sports car are but some of the trip combinations we offer. We also arrange private tours of Barcelona City centre, cultural experiences, slow food cooking classes, and much more, he explains. Most of our Barcelona By Road customers so far are from North America and Europe. – We have had many customers from Germany and the UK, but are also noticing an increase in visitors from Asia and South America. Our private driver, and CEO Marc Farré-Escofet at Barcelona By Road picked us up right outside the hotel. Promoting the vineyard, and ready to replace the soft leather seats with Segway! 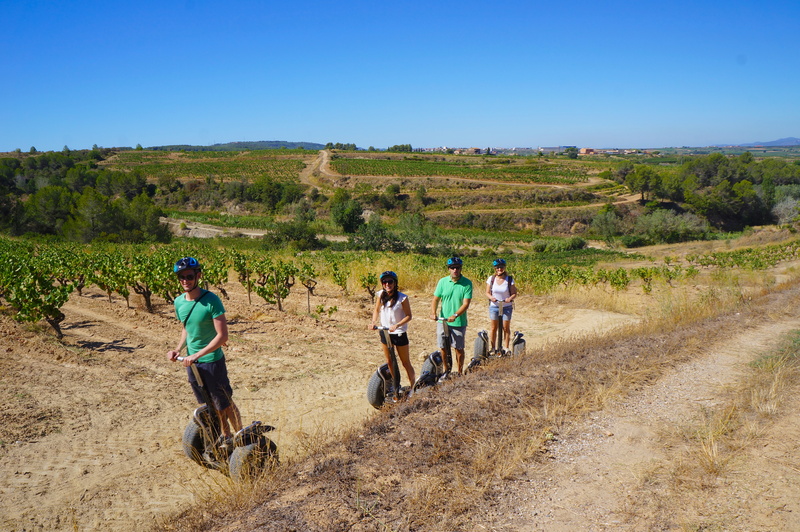 At Albet i Noya, our Segway trip carries on through a rolling landscape. There are 80 hectares of vines growing here, and the environmentally friendly conveyance allows us to discover more of the area than what we would have achieved on foot. The air is dry, and my trainers are already showcasing a thin layer of red dust. 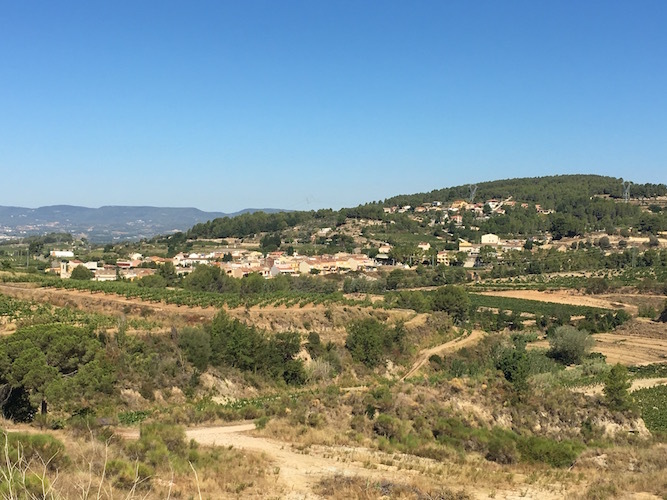 As we drive along the narrow paths, the vista is before us to enjoy, stretching towards the little village of Sant Pau D’Oral, and its five hundred inhabitants. Marc accompanies us the whole way. He enjoys meeting his customers in person, and joins in on the tours when his time allows. After a short time it feels as if we are a small group of friends on a trip. 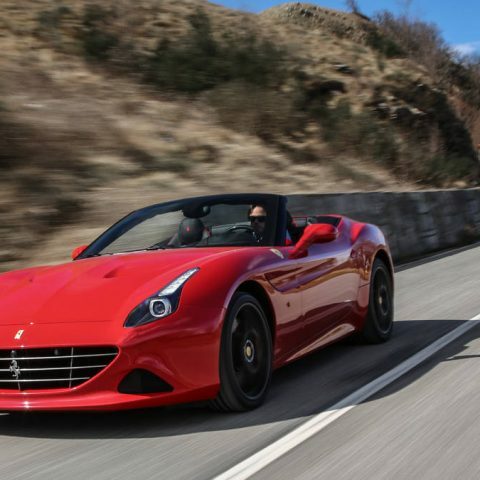 This article was made in collaboration with Barcelona By Road. All descriptions reflect my own opinion, and the business has had no influence on the content of this review. Our Segway instructor ensures we are safely managing climbs and descents of rocky inclines, though in my mind I’m convinced that of course I’ll manage fine on my own. As the distance covered behind us is increasing, I become likewise convinced of my own expertise of Segway riding. And just as my self confidence reaches its peak, I lose control and suddenly find myself lying on my back as the Segway’s wheels are freely spinning. The instructor is there right away, first aid kit in hand, but the only thing harmed was my pride. 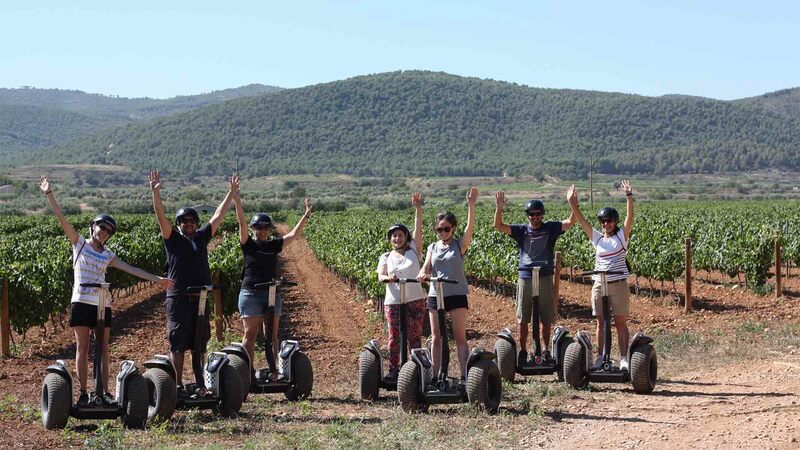 Everyone concurs there has to be some malfuction with my Segway, rather than my «excellent» driving skills, and we continue through the open landscape towards the wine cellars. 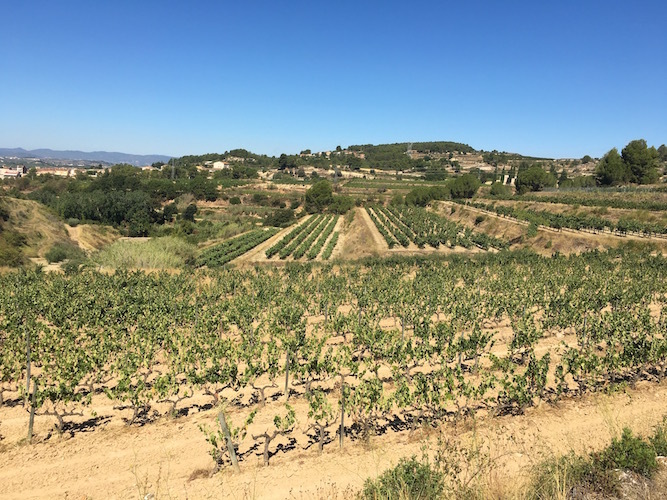 Josep Maria Albet was the one who introduced organic farming principles at the estate, when he succeeded to the business after his father in the 1970s. At that time, most of the neighbours in the village thought he had lost his mind. Most farmers were jubilant over the relatively new advantages promised by using chemical pesticides, and were convinced it would be impossible to achieve a workable business by running the farm organically. At first, they appeared to be right. 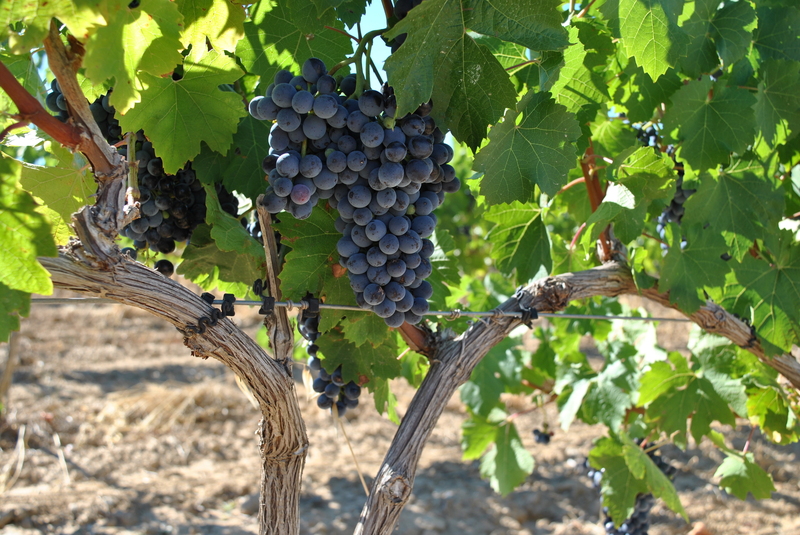 No winery wanted to purchase Albet’s grapes, as they considered the quality to be inferior to grapes grown with modern implements and chemicals. 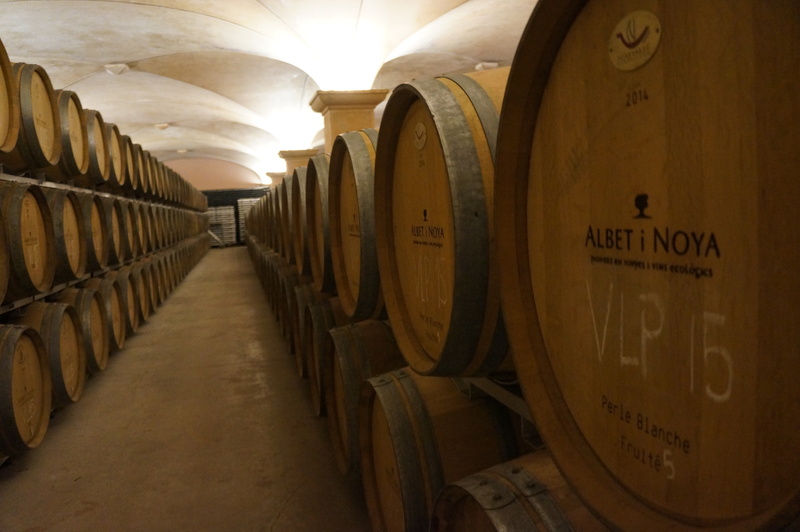 Albet’s solution was to start his own production of wine on the estate. Today, Albet i Noya, one of Spain’s very first organic farms, produces one million, two hundred thousand bottles annually; of these, 75% are exported. 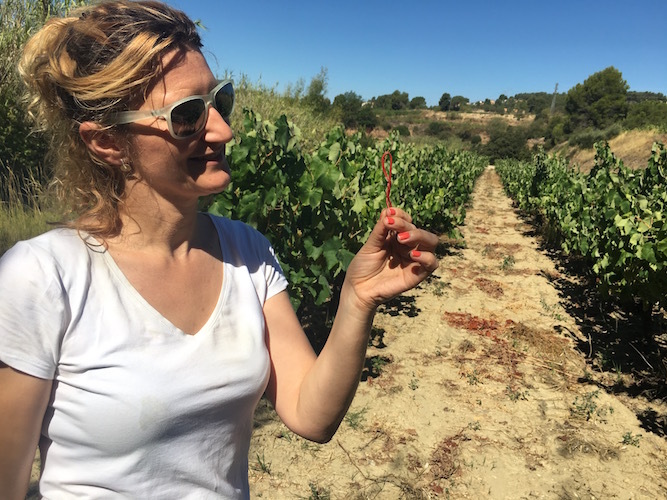 – You cannot taste whether a wine is organic or not, explains wine expert and our guide Núria Martí. 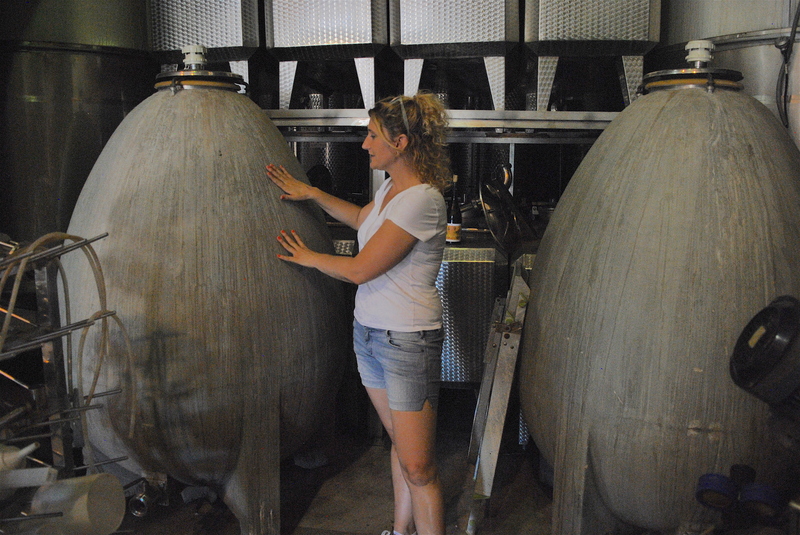 – As is the case with ordinary wines, there are good and bad organic wines. But your body will notice the difference. Amongst other things, we use less sulfites, she says. We enjoy the fresh and fruity white wine named Marina Rion. This grape is grown only in Albet i Noya. Marc Farré-Escofet from Barcelona By Road sometimes join the tours to ensures that customers get a unique experience. Here we are ready to try today’s first sample of white wine. On weekends, visitors from all over Catalonia comes to the village to buy the famous peaches from local farmers. As Núria is recounting the background of the different grape varieties, it feels more as a discussion between friends, rather than a lecture. – In the past we had a problem with butterflies laying eggs on the plants, and when the larvae hatched, they would burrow into the grapes, thus rendering them unusable. Our solution is a techinque called «sexual confusion», she explains, and holds out an orange coated bent wire for us to see. – This is covered in feromones, a scent that is attractive to the males. When a butterfly male comes near a grape vine with wires such as these, he’ll think there are too many ladies in the area that he’ll rather go somewhere more quiet. That’s why we nicknamed it the butterfly condom, she smiles. At the vineyard they have also erected nesting boxes for bats in order to attract the flying mammal to the area, since they are natural predators of harmful insects. Our guide Núria shows us the butterfly condom, which makes it unnecessary to kill the butterflies to keep them away from plants. After a goodish hour in the direct sunlight, it is a pleasant change of venue to be admitted into the cooling wine cellar, dating 1925, and thence to the new one build in 2010. 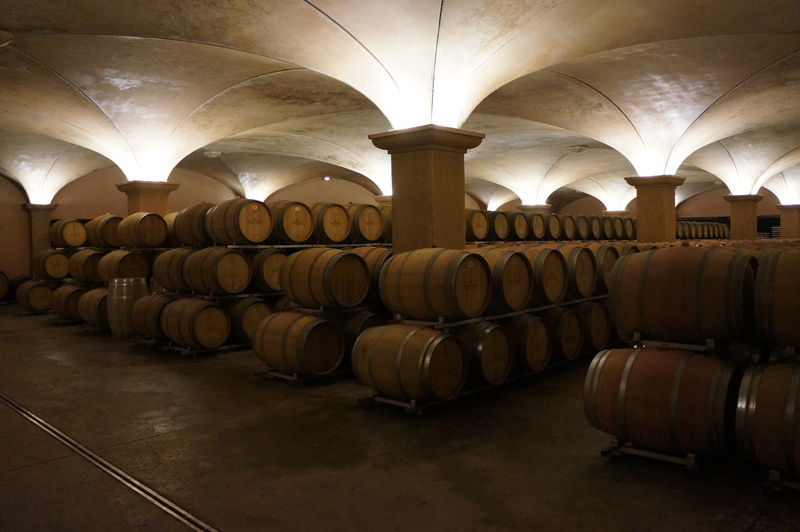 There are barrels stacked here, filled with red and white wines, slowly maturing in time periods spanning from a few months to two years. 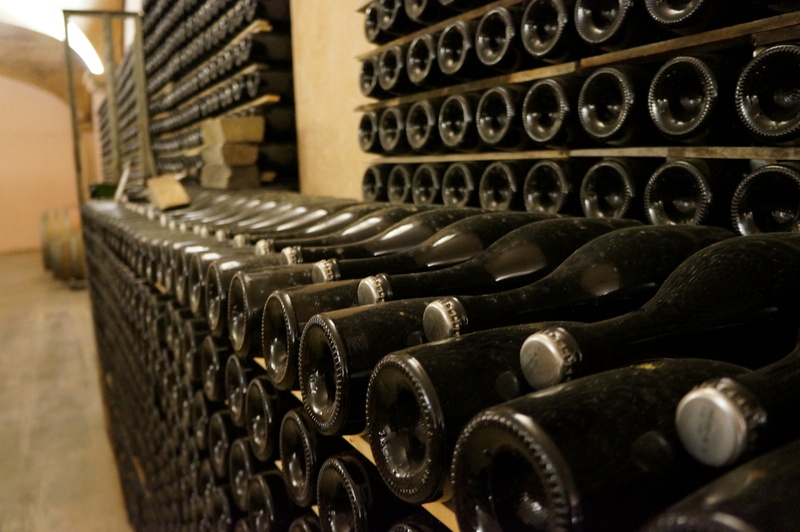 There are thousands of bottles of Cava stacked along one wall as well. A few of them have exploded, due to the excessive pressure created during fermentation. After a further guided tour of the place, where Núria shares other interesting and funny facts that I won’t repeat here, (it would spoil it for those who decide to go on a similar tour in the future!) the final chapter of the tour remains: lunch and wine tasting outside the main house. We are taught to make traditional «pan con tomate», toasted bread with tomato and garlic, and we relish it along with a home cooked Spanish omelette, many varieties of jamon, cured ham, salami and accompanying wine. Our day is at its end. Our driver from Barcelona By Road is there to take us back, and we soon find ourselves again amongst flocks of tourists, street vendors and yellow taxis. With a bottle of El Fanio, made with Xarel·lo grapes, as the tasty souvenir of our tour.